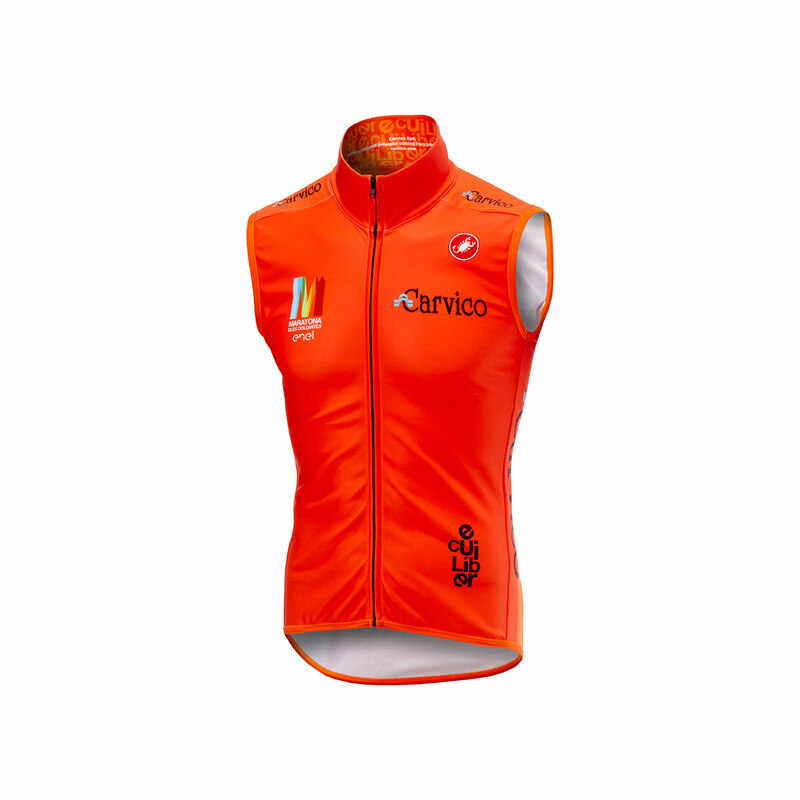 For the 32nd edition of the Maratona Dles Dolomites, to be held on 1 July 2018, Carvico has created, in partnership with Castelli, an exclusive sustainable vest made of 100% recycled polyester derived from plastic bottles. Wearing these vests, the 10,000 athletes taking part in the race will be acting as the testimonials of a really crucial value: respect for the environment. Over 72,000 bottles have been recycled to produce the 10,100 vests dedicated to the Dles Dolomites which have also prevented 4,600 Kg of CO2 from being released into the atmosphere! The organizers of the Maratona Dles Dolomites have set an ambitious target: reducing the impact of the event to zero emissions in just a few years. And Carvico has shared this mission and arranged, for this edition, guerrilla marketing activity: all the participants will be gifted with a good bag containing, among many other things, a water-based tattoo they are supposed to wear on their skin during the event; also, they have been invited to take a selfie while wearing it and post it on their social media pages with the #naturesvoice hashtag, thus spreading this positive message throughout the web. Sports lovers cannot but love nature, too. And wearing this symbol of sustainability during the 32nd Maratona dles Dolomites is the way these 10.000 athletes have chosen to prove it.